Sud Marmi was founded in 1980 by Prof. Mario Pellegrino who, thanks to a well organized and far-sighted management, makes the company establish itself first on the Italian market and then on the international one. At the end of the eighties, in fact, Sud Marmi began to export to the countries of the Middle East under the pressure of a growing demand for Perlato di Sicilia. From this moment on, resources, skills and competences are oriented almost exclusively to export, which proves to be decisive in feeding a reinvigorated process of company growth. 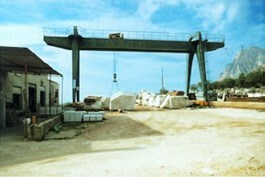 This process slowed down in the early nineties following the first crisis in the Persian Gulf, but this serves as a stimulus, in subsequent years, for the implementation of a policy of segmentation and diversification aimed at a gradual commercial expansion that brings the company to be present in the main international markets. This is how South Marmi asserts itself in the North American, Asian and North African markets. From the early 2000s with the active participation in the management of the children of the founder Dr. Vito and Rag. Francesco, Sud Marmi receives a further impulse to stand out for dynamism and quality. 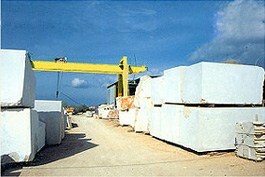 The two quarries are purchased, the processing company is enlarged and completely modernized. This makes possible further commercial expansion that leads the company to be present now also in traditionally more demanding markets such as the North and Central European markets. 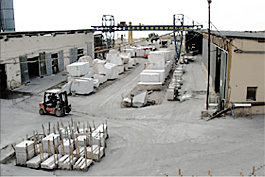 Today, Sud Marmi, thanks to a potential production capacity of over 900,000 square meters per year, is one of the largest production companies in the entire Italian stone industry.